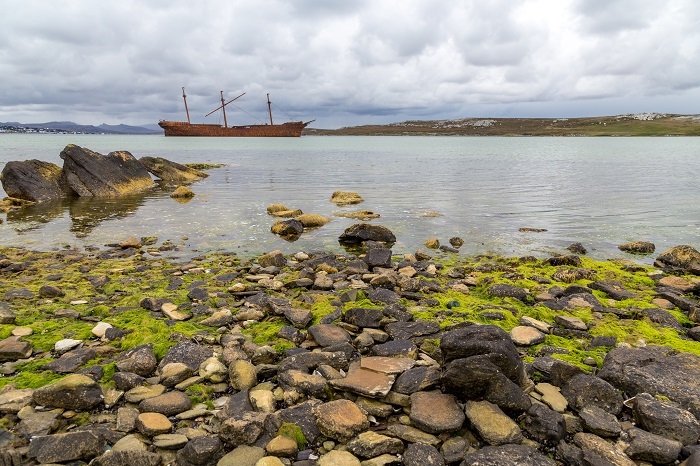 The SS Lady Elizabeth, more commonly known as the Lady Elizabeth Shipwreck, is a famous beached ghost ship which is located in the waters to the eastern side of the capital city of the British overseas territory of the Falkland Islands, Stanley. 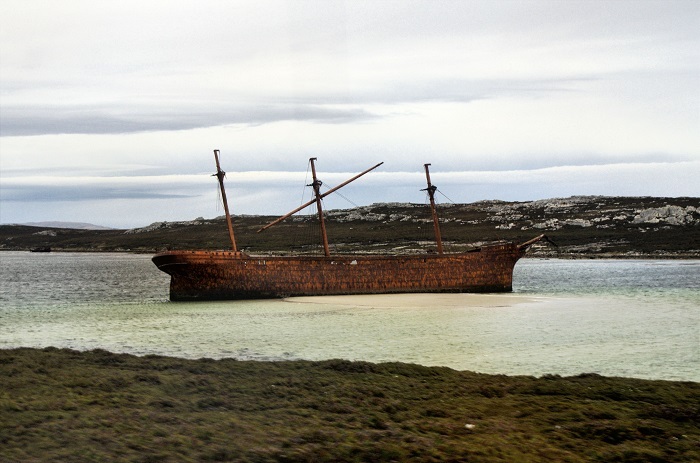 As it is between the islands’ main airport and the capital, more precisely in Whale Bone Cove, the shipwreck is one of the few things that receives some greater attention, even though it is not as imposing nor something enormous that will make someone to visit the Falklands specifically for the shipwreck. 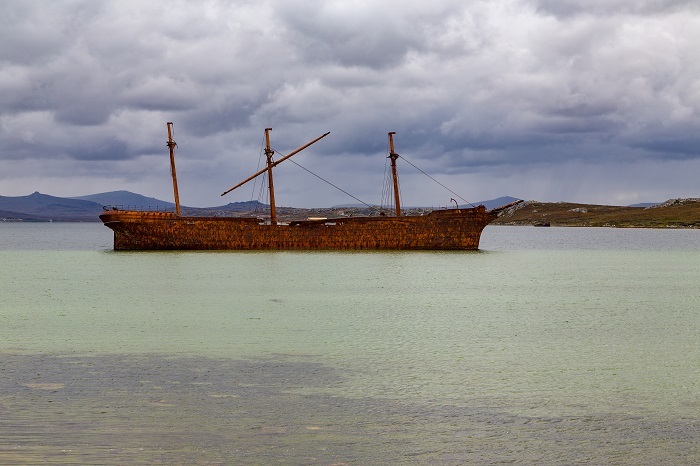 Still, this three-mast, iron hulled barque was constructed by Robert Thompson Jr. of Southwick, Sunderland and officially launched on 4 June 1879. Being just under average size when compared to the other barques which were also constructed by Thompson, in the fleet of ships of John Wilson, SS Lady Elizabeth was the seventh largest ship. With few ownership changes throughout its years, SS Lady Elizabeth successfully executed her primary purpose, hauling cargo, and its final shipment of lumber began on 4 December 1912 from Vancouver, Canada, and it was headed towards Mozambique in Africa. 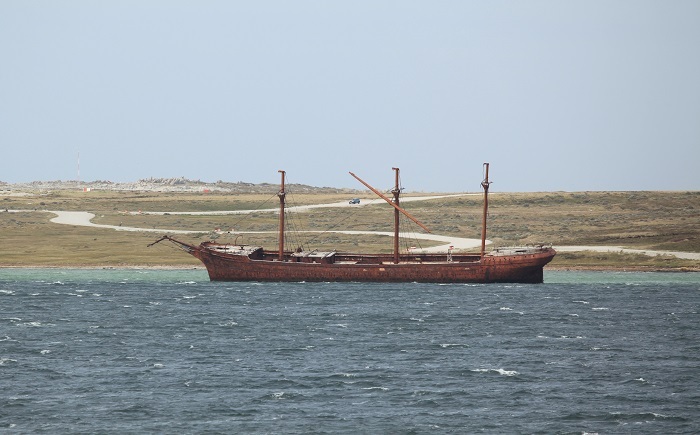 Due to very strong winds, the ship was damaged, much of its cargo lost, and even 4 men were lost in the sea. 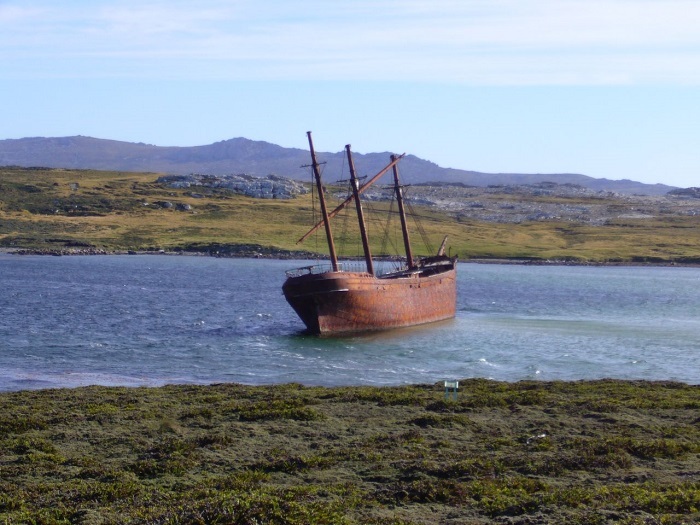 Furthermore, while trying to reach Stanley in the Falklands for the much needed repairs, the ship experienced further damages off Volunteer Point, which unfortunately did not made her seaworthy, as it was way too expensive to be repaired. 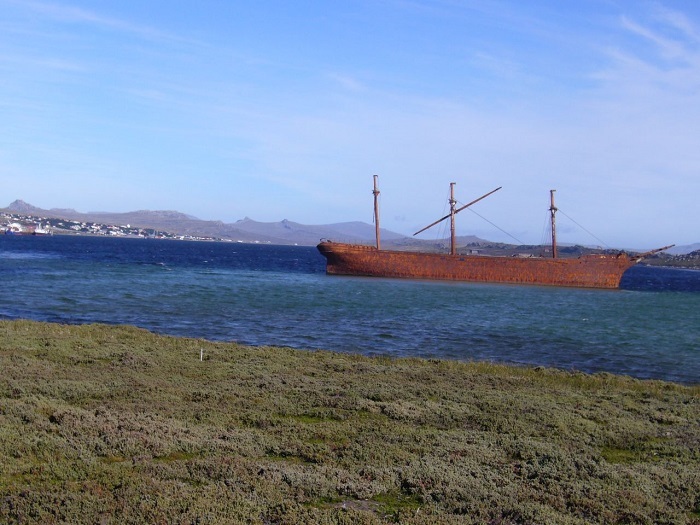 When this was also confirmed in Stanley, SS Lady Elizabeth was bought by the Falkland Island Company in order to be used as a floating timber warehouse. 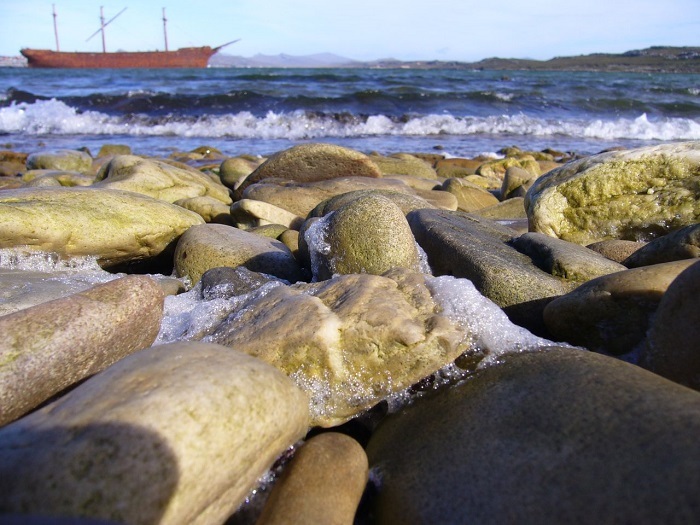 Staying at the East Jetty for 3 years, the ship was then moored in the harbor, up until 17 February 1936 when some violent gales, strong winds, forced the Lady to broke her moorings and to drift to its present location. 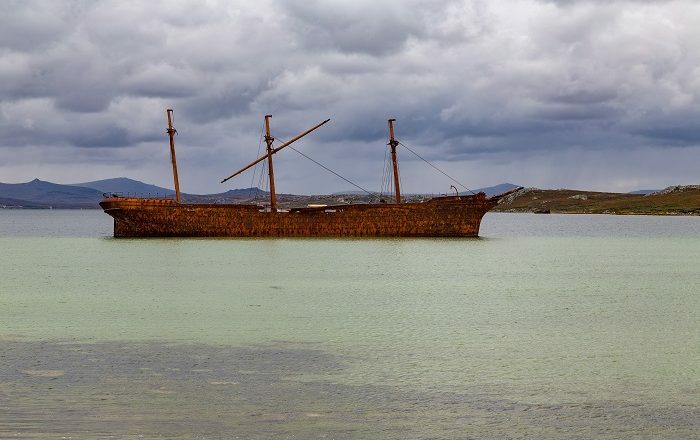 There are some reports which state that the shipwreck is moving a bit from the pounding waves during high and low tides, however, fortunately most of its accessories are still attached to it. 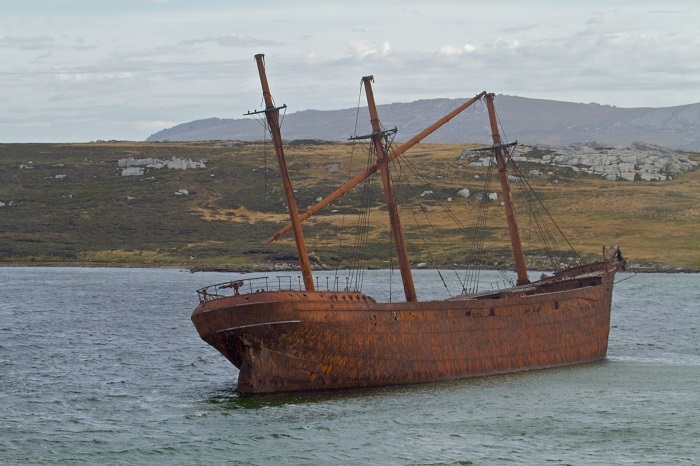 With the years, the weather has took its toll on the ship, and with the corrosion it is uncertain how long Lady Elizabeth will stay like this, with hope that the local government will try to find some kind of solution in order to preserve this historic treasure it has.